New tablet pc 's. Love them or hate them, Tablets are here to stay. When Tablet PC's came out, I wasn't sure where they would fit in. I'm still not sure. For the sales guy it might be a great tool. He can easily load customer data and presentations on the tablet and easily "shoot from the hip", so to speak, if the customer needs some more information. Then I thought to myself, but he could also put this info on his laptop as well. He just needs to setup his laptop beforehand, and the info is available. Maybe it's the ease of use, the battery life or just the fact that it's the latest technology and you need to have it. Maybe it looks more professional when you are in meetings. Whatever the reason, people are using it. Companies that produce music software has adapted these tablets and have created great software for the device. More and more electronic musicians are using tablets, especially the iPad, as a control device. It's a great tool cause you can load lots of different slider and knobs on the tablet. I think it's a great entertainment tool. You can listen to music, watch videos, surf the web, read your mail, chat with your friends and even make phone calls from this device. But then again, you can do all of this from a notebook, laptop or netbook. Maybe it's because they are smaller and more mobile than laptops. Maybe it's just because they are more funky and stylish than laptops. 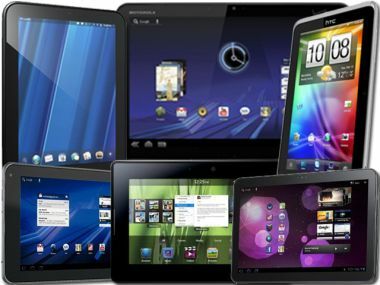 Below is a list of new tablet pc 's that's been released recently. Apple released it's iPad 2 recently. It has a 9.7" LED-Backlit IPS LCD screen with a resolution of 1024x768 pixels. They added a beefy 1 Ghz dual core Apple A5 CPU. The graphics engine is more powerful than it's predecessor and can handle high definition graphics with ease. It also sports a 10 hour battery life. It weighs in at only 730grams. Apple sells these with 16Gb, 32Gb or 64Gb internal storage. Not as big as the iPad 2 the screen size of this device is 7" giving 480 x 800 screen resolution. It has a 1 Ghz Snap dragon CPU from Qualcomm. It allows wi-fi and 3G connections with which you could make some phone calls via the speaker and microphone. It weighs in at 500g and 4Gb internal storage + MicroSD. This device is smaller and not as powerful as the iPad 2 with a lower resolution and smaller screen size. But then again, you don't pay that much for it. It also runs Android 2.2 (Froyo) operating system. 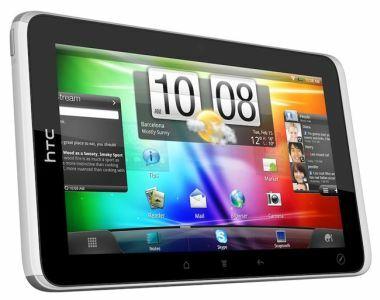 The HTC Flyer has the same screen size as the Huawei IDEOS at 7" but has a higher resolution at 600 x 1024. It has a 1.5 GHz Snapdragon processor with 1 GB of RAM. It runs Android 2.3.3 operating system and weighs in at 420g. It has 32 GB storage also with MicroUSB. What makes this device different from the previous ones is that you can use a stylus pen and use scribe software to take notes on the screen. This is great if you don't like the touch screen buttons. You can also do drawings which is quite cool. 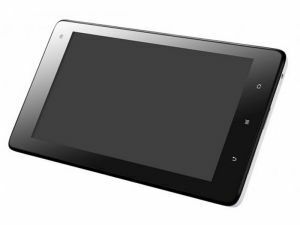 I will add more new tablet pc news as it becomes available in the future.